It was obvious to pretty much everyone watching last night’s debate that Mitt Romney decided to co-opt Barack Obama’s foreign policy: whether the issue was targeting Al Qaeda, withdrawing from Iraq or Afghanistan, sanctions and negotiations with Iran, the handling of Egyptian revolution, or the use of drones for counter-terrorism, Romney was happy to say “me too” over and over again. The big question is whether or not this was a strategically sound decision. The Romney camp’s logic was presumably threefold: 1.) The key issue in the election is the economy, not foreign affairs; 2.) Romney is far less fluent in foreign policy than domestic policy, so the potential for mistakes is much higher; 3.) whether or not Romney agrees with Obama’s foreign policy record, the American people rate it reasonably highly, so there isn’t a huge percentage in attacking it. These all added up to a compelling rationale, and Romney’s decision may prove right in the end. But my gut tells me Team Romney may have outsmarted itself here. Romney’s underlying assumption seemed to be that you can fight to a draw in a foreign-policy debate simply by fighting to a draw on policy (or, as the case may be, not fighting at all). But I don’t think that’s how these things work in practice. Debates are a zero sum game. Just because there isn’t a contrast between the two candidates on policy doesn’t mean audiences don’t perceive a contrast. It just means they look for contrasts along other dimensions. Specifically, when you eliminate any policy differences you have with the president, you encourage voters to judge you on character and competence. Regarding the first, what audiences saw the president do all night long was lay out his vision for how the country should project its influence abroad and defend that vision pretty vigorously. What they saw the challenger do was basically back away at every opportunity. The effect of this was heightened, I think, by Obama’s repeated mentions of previous areas of disagreement—Afghanistan, Iraq, Iran—that Romney simply folded on. Unfortunately for Romney, the atmospherics of being in constant retreat during a foreign policy debate don’t scream “presidential.” Romney needed at least a few instances of standing his ground if only to show that he can think for himself and isn’t cowed by the guy who’s been doing the job for four years. If you look like you’re getting pushed around in a domestic policy debate, it’s probably the bully who’s losing points with the audience. But if you look like you’re getting pushed around in a foreign policy debate, the joke’s probably on you. On competence, meanwhile, I think the Romney campaign fell prey to another subtle misunderstanding. The conventional wisdom in foreign policy debates is that the challenger only has to demonstrate a basic fluency. But, again, that’s when you’re actually laying out policy differences with the president. If you’re not laying out any differences, minimal competence isn’t enough. After all, why would a voter simply want a less competent version of what they’ve already got? 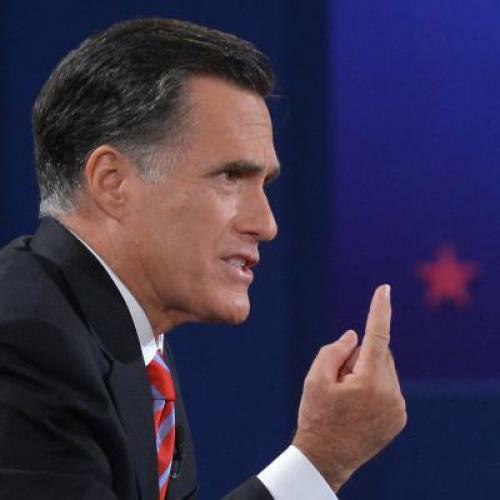 The problem for Romney is that’s more or less what he presented tonight. Though he didn’t commit any major mistakes, he came off as generally less sure of himself than Obama—whether it was his rambling tour d’horizon of the Pakistani political system (“You have the ISI, their intelligence organization, is probably the most powerful of the three branches there, then you have the military and then you have the civilian government…”) or his rote inventory of Navy ships (which earned him the “not a game of Battleship” smack-down from the president). What would have been a perfectly acceptable level of knowledge had he been articulating an alternative path looked instead like one guy scoring worse on the same essay question. So, yes, the Romney campaign was clearly right to assume that most Americans won’t base their vote on foreign policy. But voters clearly will base their vote on whether a candidate looks and acts like a president and sounds ready to be president. And I think they coughed up a few points on both counts tonight.